We will be in 沙海之星 server. We will likely be on the official CN servers (non-Steam servers). Using a 3rd-party ping booster might not reflect well on a Steam account. Ji Ci - Gunslinger: Mech guy with dual pistols. Weapon skill can also change weapon into a flamethrower, etc. Long Xia - Swordmage: Sword, crystal (orb?). Sword can change to a greatsword from what I see. Also has ranged magic and sword-summon skill (Revelation's Sword Salvo). Suo Luo Ya - Druid: Healer, uses magic rod to cast attacks. The Open Beta will only have Simplified Chinese localisation, but there seems to be no IP block. You can start downloading and play if you already have a NetEase and/or Revelation 天谕 account. Now that this game has gone live, will you guys be inviting us to guild? Or shld we search for guild: Einsof and join? Better to search yourself coz otherwise need to add friend to add people into guild and there's limited friend list slot lol. Guild is full, will announce if there's slots or if there's a second guild up. First guild is up, remember those that apply here will get entry priority. Search for the guild in game and apply. Just a short scroll quest video on my Phantom Ranger. Scroll quests gives some supplies, gold and EXP, recommended to do all A-grade scrolls everyday (cap of 10 per day). Are you peeps still playing? No. I'll probably only pop around for fun since there's changes in damage calculation. Blade Dancer if you wanna help the party with buffs. Abyss Walker if you like melee burst damage. It seems like you are in the wrong stance. You can use Lightning Orb follow up only if you are in Lightning stance. In fact you should not need to change out of Lightning except for 100% constantly moving targets such as bees in MHT. It should be very possible to use the follow up even with high ping. I play with 200+ms constantly. 1) You should be able to fit in one Lambent Bolt and then use the Lightning Orb follow up. If there is no LO follow up, you're in the wrong stance or your ping is too high to play the game properly. 3) Always prioritise over normal skills. The 14 June release is for the Asian servers, which supports SG, MY, PH (? ), TW, JP regions. It will have English support along with Traditional Mandarin and Japanese languages. So far, Indonesia, Korea and China are blocked, but there are plans for a China release, probably by another publisher, which might also be the case for Indonesia. Korea is blocked obviously as they have the game already. There is no exact date for the Global servers, but it will likely cover all other regions that do not have the game yet. To check if you are included in the Asia server is to see if you can pre-register. If the site does not show 14 June and you can't pre-register, it means you are excluded from the Asia server. The website is an umbrella website for all regions, essentially those staying in Korea will have the website shown to them in Korean with the same URL. 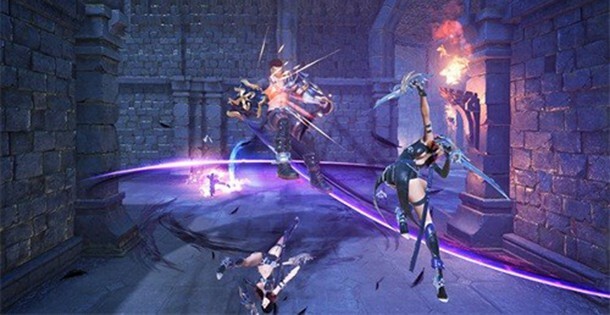 This is not an entirely new concept and has been done in Seven Knights (also under Netmarble). Eventually, maintenance downtimes will likely be synced across Global and Asia clients. Again, we are in Giran01, Asia server.